Alice Mitchell Rivlin (born March 4, 1931, in Philadelphia) is an economist and former U.S. Federal Reserve and budget official. She served as Vice Chair of the Federal Reserve, Director of the White House Office of Management and Budget, and founding Director of the Congressional Budget Office. Rivlin is an expert on the U.S. federal budget and macroeconomic policy. She is a senior fellow at the Brookings Institution and visiting professor at Georgetown University. Rivlin also co-chaired, with former Senator Pete Domenici, the Bipartisan Policy Center’s Debt Reduction Task Force. Alice Rivlin is a daughter of the physicist Allan C. G. Mitchell and a granddaughter of the astronomer Samuel Alfred Mitchell. She grew up in Bloomington, Indiana where her father was on the faculty of Indiana University. She briefly attended University High School in Bloomington before leaving to attend high school at The Madeira School. She then went on to study at Bryn Mawr College. Initially, she wanted to major in history, but after taking an economics course at Indiana University she decided to change her major to economics instead. Rivlin earned her Bachelor of Arts in 1952, writing her senior thesis on the economic integration of Western Europe, and upon graduation, she moved to Europe where she worked on the Marshall Plan. Originally, Rivlin wanted to attend graduate school in public administration but was rejected on the grounds that she was a woman of marriageable age. Rivlin went on to earn a Ph.D. in economics from Radcliffe College of Harvard University in 1958. Alice Rivlin has been affiliated several times with the Brookings Institution, including stints in 1957–66, 1969–75, 1983–93, and 1999 to the present. She is currently a visiting professor at Georgetown University's McCourt School of Public Policy. From 1968 to 1969, she was appointed by President Lyndon Johnson as Assistant Secretary for Planning and Evaluation, United States Department of Health, Education, and Welfare. In 1971 she authored Systematic Thinking for Social Action. She was elected a Fellow of the American Academy of Arts and Sciences in 1973. She was the first director of the newly established Congressional Budget Office during 1975–83, where she was a persistent and vociferous critic of Reaganomics as head of the CBO. In 1983, she won a MacArthur Foundation "genius" award. 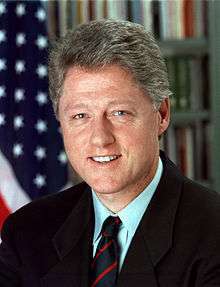 Under President Bill Clinton she served as the deputy director of Office of Management and Budget from 1993 to 1994, director of OMB from 1994 to 1996 (becoming the first woman to hold the Cabinet-level position), and a governor of the Federal Reserve from 1996 to 1999, during which time she served as the Fed's vice-chair. She was also chair of the District of Columbia Financial Responsibility and Management Assistance Authority from 1998 to 2001. Rivlin and former Senator Pete Domenici (R-NM) were named in January, 2010 to chair a Debt Reduction Task Force, sponsored by the Bipartisan Policy Center in Washington, D.C.
Rivlin soon thereafter was named by President Obama to his 18-member bipartisan National Commission on Fiscal Responsibility and Reform panel chaired by former Senator Alan K. Simpson, (R-WY), and former White House Chief of Staff Erskine Bowles (D), commonly known as the Simpson-Bowles Commission. The balance of the panel is three more members appointed by the President, six members of the U.S. House of Representatives, and six members of the U.S. Senate. The commission first met on April 27, 2010, and had a December report deadline. 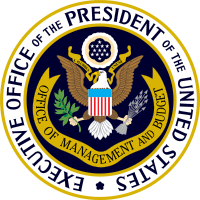 A health-care component of the overall U.S. federal and state fiscal-management challenge was addressed by a panel including Rivlin on the Diane Rehm Show in June. Along with former Comptroller General David Walker, Rivlin danced the Harlem Shake in a video produced by The Can Kicks Back, a nonpartisan group that aims to organize millennials to pressure lawmakers to address the United States' $16.4 trillion debt. The video concludes with her making an importuned plea to the twenty somethings seated around the room: "There's no dancing around the fact that more needs to be done quickly to put our future debt on a downward track. But our leaders need to hear from you." Rivlin is of Cornish ancestry. In 1955, she married former Justice Department attorney Lewis Allen Rivlin of the Rivlin family; they divorced in 1977. Rivlin, Alice (1971). Systematic Thinking for Social Action. USA: Brookings Institution. ISBN 978-0815774778. Rivlin, Alice (1988). Caring for the Disabled Elderly: Who Will Pay?. USA: Brookings Institution. ISBN 978-0815774983. Rivlin, Alice (1992). Reviving the American Dream: The Economy, the States, and the Federal Government. USA: Brookings Institution. ISBN 978-0815791683. ↑ "Book of Members, 1780-2010: Chapter R" (PDF). American Academy of Arts and Sciences. Retrieved 7 April 2011. ↑ ""The Domenici/Rivlin Debt Reduction Task Force" by Kathryn Nix". The Foundry. The Heritage Foundation. 2010-01-26. Archived from the original on 2010-01-27. Retrieved 2010-01-27. ↑ "Medicare Reimbursment Rates and Deficit Spending" with Stuart Guterman of The Commonwealth Fund, Ron Pollack of Families USA, and Brian Riedl of The Heritage Foundation, The Diane Rehm Show, June 15, 2010. Retrieved 2010-06-15. ↑ Chokshi, Niraj (15 February 2013). "Budget Wonks Dance the 'Harlem Shake' — the Latest Web Trend". National Journal. Testimony of Alice Rivlin to Congress, October 5, 1977, on the potential energy savings of urban transportation.